Special Containment Procedures: Because of the extradimensional properties related to SCP-2901, there are currently no methods of physical containment. Case reports involving SCP-2901 will be remitted to MTF Phi-5 ("Twilighters") for further investigation. Civilian sightings of SCP-2901 will be suppressed using amnestic field applications. Media leaks regarding SCP-2901 will be deleted or discredited by the Information Detraction, Censorship, and Rescission Division (IDCaRD). Do not attempt to run. Fleeing may provoke SCP-2901 to give chase. Hold your ground. Be sure to make eye contact. Make a threat display. Use clothing to imitate an increase in body mass. Continue Step 3 until SCP-2901 becomes disinterested and submits. Avoid physical contact if at all possible.1,2. Wield or throw objects to maintain distance. Description: SCP-2901 are a species of nocturnal carnivorous scavengers of limited intelligence; averaging 1.7m in height. SCP-2901 usually appear as having an ellipsoid shape and possess 2 large eyes layered with photophoric tissue. SCP-2901 are covered in a layer of minute iridescent lamellar scales, similar to Lepidopterans3. SCP-2901 are able to move through space-time freely, granting them certain abilities such as levitation, flight, and teleportation. SCP-2901 are, however, tangible and susceptible to conventional firearms. SCP-2901 are also able to emit an acoustic cancellation effect within a radius of approximately 25m. The purpose or function of this ability is not wholly understood but is theorized to aid in stealth. Several methods of containment and/or deterrents are still being considered. However, because of the elusiveness of SCP-2901, a large majority of the general public are aware of related incidents and possibly even the existence of SCP-2901. Counter-measures are in place as a temporary solution for protecting information on SCP-2901. Due to the uncontainable nature and general notoriety of SCP-2901, certain protocols must be established in order to quell civilian suspicion as to the existence of these entities. The following is an outline of Operation: "Surgeon's Photograph" that should be reviewed by your respective teams. Due to the nature of Operation: "Surgeon's Photograph", information regarding SCP-2901 does not require additional safeguards against espionage. Information about SCP-2901 will remain accessible on the Foundation main-list database. Standard protocols for sensitive information, access clearance, and storage still apply. Utilizing the automated virtual agents already in place, certain keywords related to SCP-2901 will be routinely searched and red-flagged on the daily reports. Pages will be reviewed by selected teams as they are discovered and remitted to the Tactical Planning Team to determine the severity and next course of action. The Foundation front company Studio City Productions will be contracted to create several low-budget documentaries involving SCP-2901 while including other well known cryptids from folklore. This will further aid in convincing the general public that the existence of SCP-2901 is highly questionable and, in all likelihood, impossible to validate. Any source material of SCP-2901 deemed too sensitive to be accessible to civilians will also be addressed by the Special Cyberspace Unit. Standard protocols for denial-of-service (DoS) operations will be carried out to isolate the source. After the source is isolated, efforts will be made to erase the original content. Any information regarding the original poster of the material will then be handed over to MTF Phi-5 ("Twilighters") for further investigation. In all cases, services will be restored once the material has been erased. Any DoS operations in excess of 24 hours will need to be reported to the Department of External Affairs. Operation: "Surgeon's Photograph" will continue until a viable method of containment or deterrent for SCP-2901 is in place. 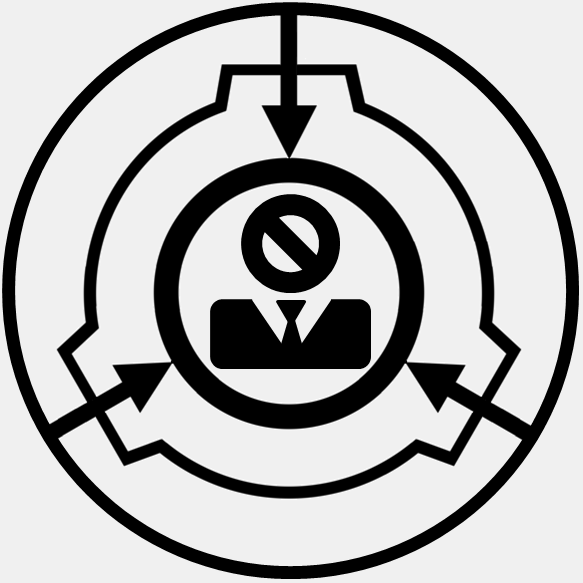 Virtual agents will continue to search for keywords related to SCP-2901; these will be included on the month-end reports to be reconciled at the end of the quarter. Content made during Operation: "Surgeon's Photograph" will remain accessible. The first official documented incursion of SCP-2901 was near the town of █████ ████████, WV, USA in 19██, followed by the collapse of [REDACTED]. Since then, continuing field observations have concluded that SCP-2901 are an aggressively territorial and solitary species. SCP-2901 normally do not engage or reveal themselves openly to humans, and will often retreat or vanish if discovered. Further observations suggests that SCP-2901 are able to approximate the time and location of future disasters with a certain degree of accuracy, particularly those resulting in multiple fatalities4. This is supported by accounts and reports showing a sudden presence of SCP-2901 within the vicinity of the disaster area, usually within a month or week before it occurs. During this period, many SCP-2901 will claim rights to the area resulting in altercations with other SCP-2901; sometimes including human bystanders being mistaken as threats. During these aggressive territorial behaviors, SCP-2901 are able to change their physical shape into a large nebulous-like body as a threat display. After the disaster event occurs, the remaining SCP-2901 will take part in feeding off the deceased in a frenzy-like behavior until the food source is depleted; vacating once satiated. Operation: "Surgeon's Photograph" is to be considered the "Special Containment Procedures" for SCP-2901 and is to operate under the guise of an active public disinformation campaign. MTF Phi-5 will be responsible for its continuation and level of effectivity in maintaining acceptable levels of public awareness and conception. As a point of clarification, the purpose of Operation: "Surgeon's Photograph" is not to protect information on SCP-2901 but rather control information on SCP-2901. SCP-2901's current evolution is the sum of Foundation efforts in manipulating its existence through public perception. SCP-2901 are a group of extradimensional entities that lack a stable cohesive form and purpose that only coalesces through continued observational reconciliation. For SCP-2901 to maintain a stable physical mass, approximately 75% of the nearby human populace within 500km need to be congruent on a singular concept of what SCP-2901 is and what it does. SCP-2901 were first discovered and categorized as highly unstable Keter-class entities capable of producing localized CK-class scenarios at random. Further research into SCP-2901's unstable manifestations proved to be futile as, unbeknownst to Foundation scientists at the time, SCP-2901 would involuntarily change during each subsequent observation. During a containment breach into the civilian populated areas within the Appalachian region of the Southern United States, SCP-2901 began gradually condensing into a singular manifestation the more it was exposed to humans. 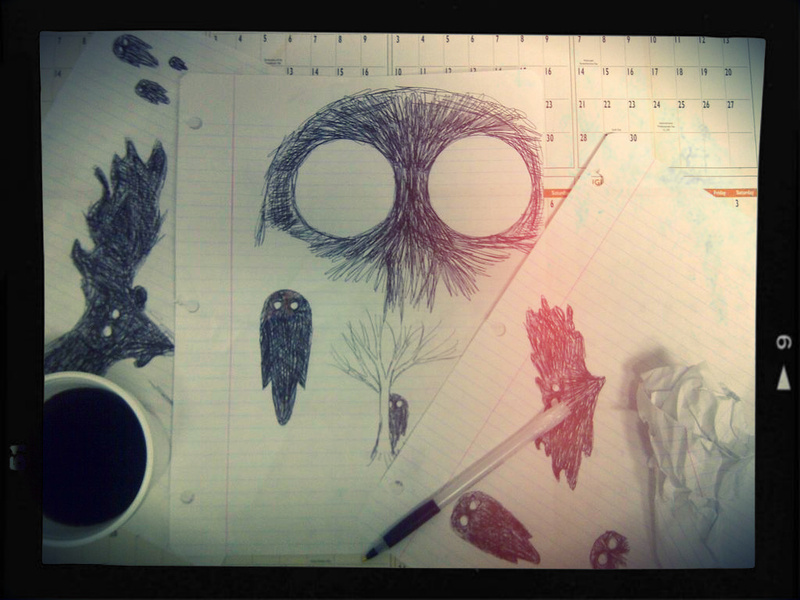 Civilians began conceding to the idea that SCP-2901 was a dark winged-like humanoid with large red eyes, which corresponded to pre-existing local folklore. SCP-2901 also began to evolve predatory-like behaviors and anomalous acoustic effects that conceptualized due to the mass fear generated within the surrounding communities. Foundation researchers recognized the effects and began isolating SCP-2901 as much as possible. However, deprived of regular perceptual input, SCP-2901 began to devolve into its initial highly unstable manifestations once again. The decision was made to maintain SCP-2901 in a functioning manageable state through continued exposure to human perceptual belief that SCP-2901 is a tangible creature of local folklore: another Bigfoot or Loch Ness Monster. The nearby Silver Bridge collapse of 1967 and the SCP-2901 Appalachian Incursion in reality have no connection with one another; however, public opinion strongly disagreed, and henceforth SCP-2901 began to appear at other future disaster events. This was the precursor of the precognitive scavenging animal-like behavior that is observed today. Efforts are to continue gradually introducing notions developed by the Foundation as to further SCP-2901's evolution into a more docile and manageable concept. Only Foundation personnel with Level-4 clearance are permitted to view this document. For all intents and purposes, all other personnel are to be included in actively contributing to SCP-2901's perceptual evolution. It is pertinent that this document be limited to no more than 50 persons, including the O5 council. 1. Due to the fluctuation of SCP-2901's mass, any physical connection made between the entity and victim will result in intersecting membraneous contact. 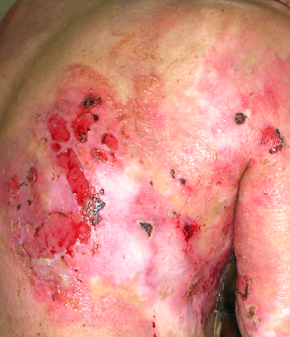 This phenomenon usually results in the removal of the dermal layer along the contact area as SCP-2901 retracts. 3. Lepidoptera (lɛpɨˈdɒptərə/lep-i-dop-tər-ə) are a large order of insects that includes moths and butterflies. 4. This precognitive ability is believed to function as a physiological sense comparable to scent. Data varies, however, on the number of SCP-2901 within a given area (φn) versus the total fatalities after the disaster event occurs (Σδ). False positive incursions, though rare, have also been observed.